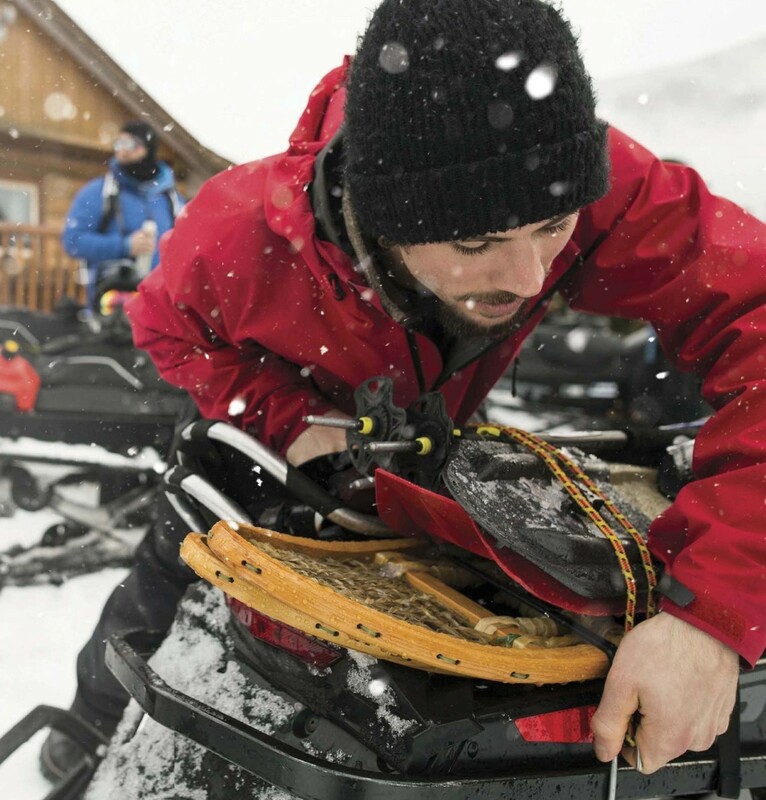 BUILD YOUR EMERGENCY KIT FOR SNOWY BACK-COUNTRY ACTIVITIES. There is an old adage that is attributed to Louis Pasteur: Chance favors the prepared mind. With winter around the corner, so come winter sports and activities, including such pursuits as snowshoeing, skiing and snowmobiling. 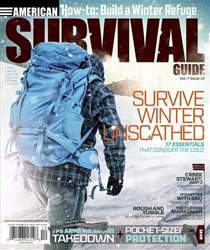 Any kind of backwoods adventure can bring with it certain risks, but winter activities multiply the potential risk of falling into a real-life survival situation. While there is a risk of getting far from safety while snowshoeing or cross-country skiing, the risk of fi nding yourself miles deep in a remote location when back-country snowmobiling is inherent. 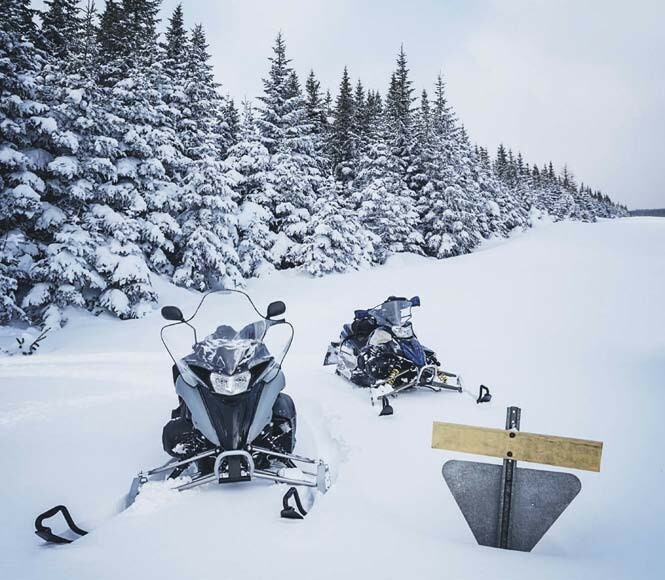 It is very common for serious snowmobilers to search out distant backwoods locations for their high-octane fun, but it is those settings that can bring disaster to the unprepared. When faced with an open expanse of fresh, virgin snow, it is easy to put the hammer down and quickly fi nd yourself miles from anything—including any kind of cell service or immediate aid. I have always found it odd that people will pack everything, right down to the kitchen sink, to go on a camping trip right around the corner from home. Yet, they take next to nothing when hopping on a snowmobile to rocket themselves miles from civilization. Although it is not uncommon for someone heading out for the day on snowshoes or cross-country skis to have some form of day pack, it is equally not uncommon for someone on a snowmobile to head out with nothing more than their snowmobile suit and whatever is in their pockets. Anytime you are going to be heading away from people and safety, it is important to bring some sort of emergency kit with you in case things don’t go as planned. You should always have a kit with enough supplies to sustain yourself for at least a night in the event that it is late when things go south. It is never recommended to traverse unfamiliar wilderness at night; things look diffeerent, and the pitfalls that lie before you do so under the veil of darkness. It doesn’t take much to make a bad situation worse.